Northwest Tickets | Ka-POW Fun Run! Join us in our second ever 5k fun race! It will take place at Grant Park in the Perry District. This event is going to be a great time for a good cause - we are including water activities, obstacles, squirt guns, snack stations, villains and super-heroes! Dress up as your favorite Super Hero and help support programs that mentor kids in our community. Be part of something BIG! Saturday, August 11th, Grant Park, Perry District, Race starts at 9:00 am. Registration starts at 8:30 or the day before at Fleet Feet. Early registration (prior to August 1) is $25. Race will be chip timed. 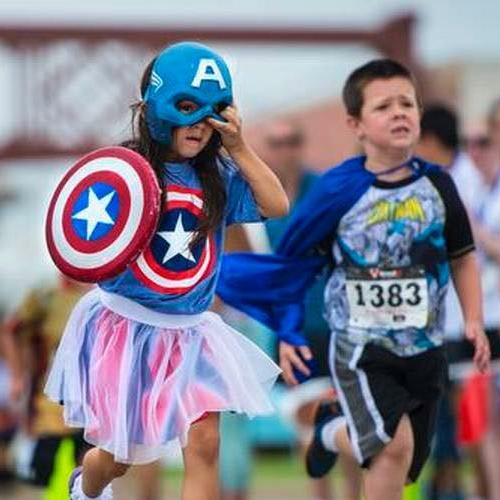 This is a fun, 5K Obstacle Run - enjoy Superhero activities and fun water obstacles.